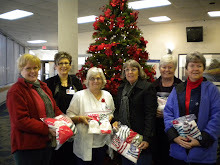 A few of the 31 volunteers! 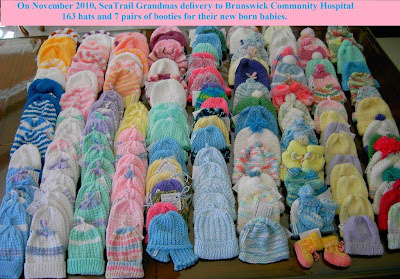 Volunteers includes our "Sister Grandmas" who live outside of Sea Trail and chose not to attend our meetings but knit and sew for us from time-to-time. 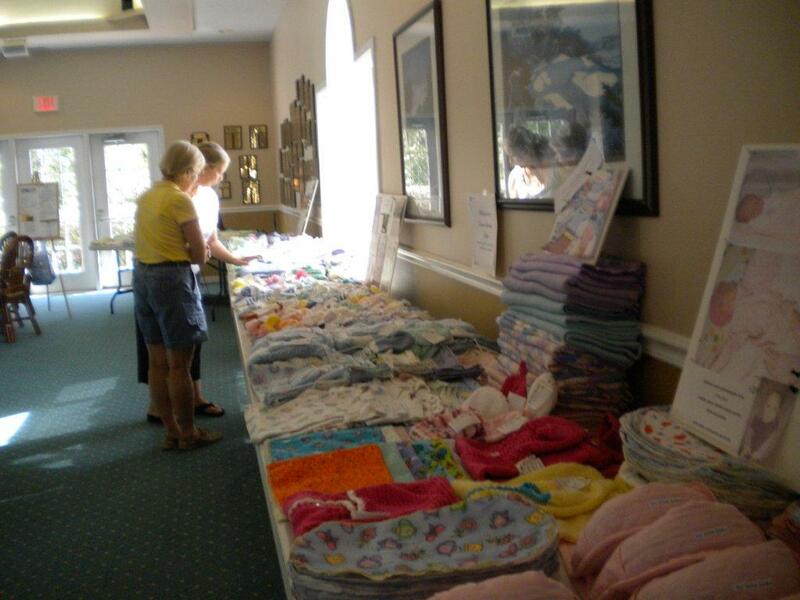 We really appreciate their contribution and displayed their items at the expo. On display also, was some items made from the flannel, fleece and yarn donated by Meggie McClave. 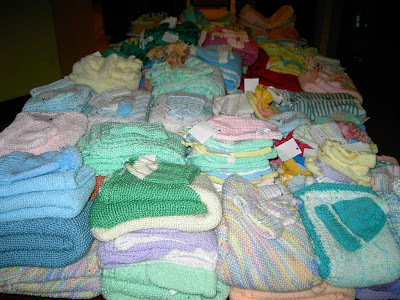 Thanks to everyone who knitted and sewed items and all those who helped put the expo together and provided delicious refreshments. 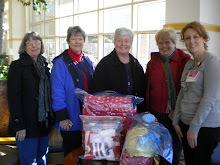 Not only did we receive $55 in donations but we picked up three new SeaTrail Grandmas! 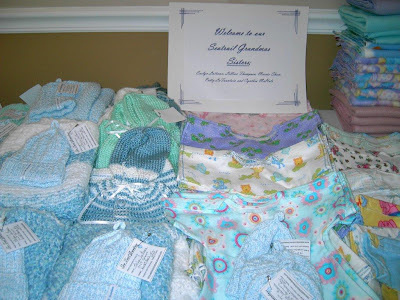 Thanks to everyone, we have accomplished a lot since last spring. Special thanks to Chris Woods and Katie Bodner for representing us at the Brunswick Community Hospital Volunteer luncheon last summer. 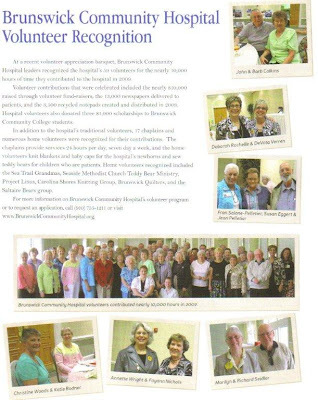 Thanks to the Brunswick Community Hospital for extending that invitation to two of our members. 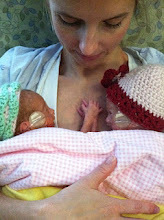 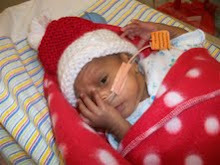 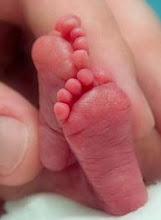 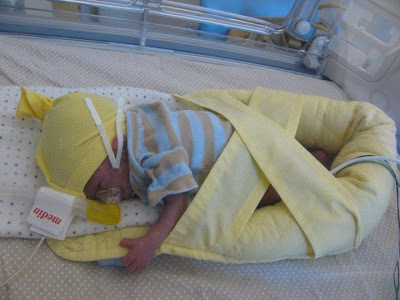 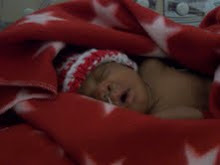 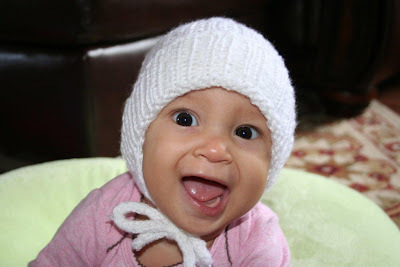 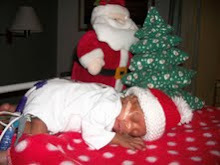 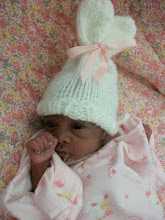 We provided them with knitted hats and booties for newborn babies. 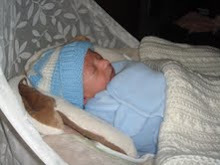 Our group continued to work through the summer but I had to leave for awhile for a “special delivery”. 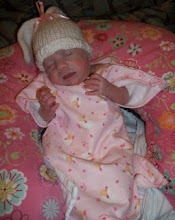 My granddaughter Sophia was born prematurely in Canada on April 10, 2010. 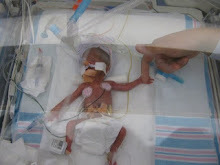 She weighed 3 lbs 14 oz. 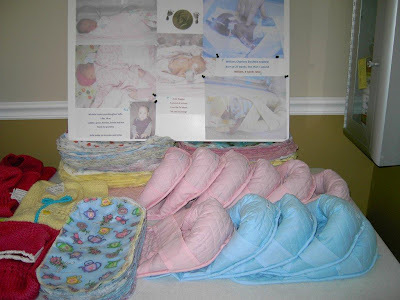 I worked quickly to make some things to take to Canada because the hospital where she was born did not have the things that we make for preemies. 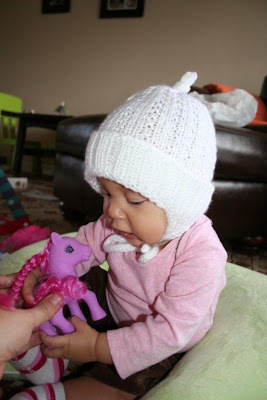 Sophia is now 7 months old and thriving and I continue to knit for her. 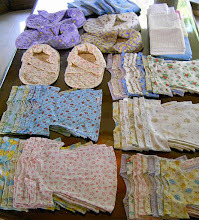 We received a donation of a sewing machine from “Grandma” Charlene Doolittle. 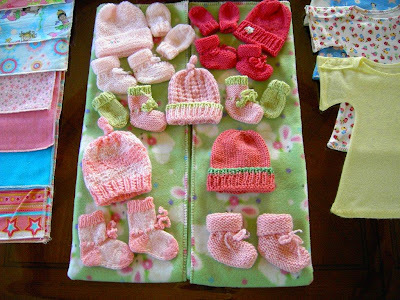 Thank you, Charlene. 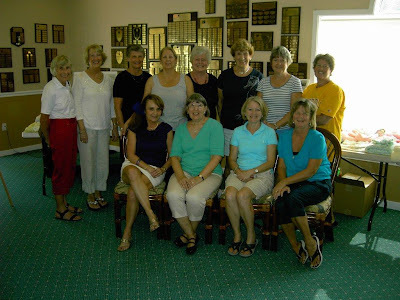 Call Michele if you wish to borrow the sewing machine and Charlene said that she will be glad to provide instruction. 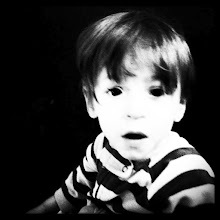 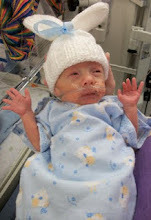 Charlene’s nephew recently had a preemie and we wish him well! 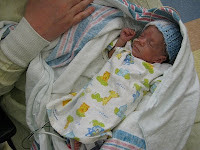 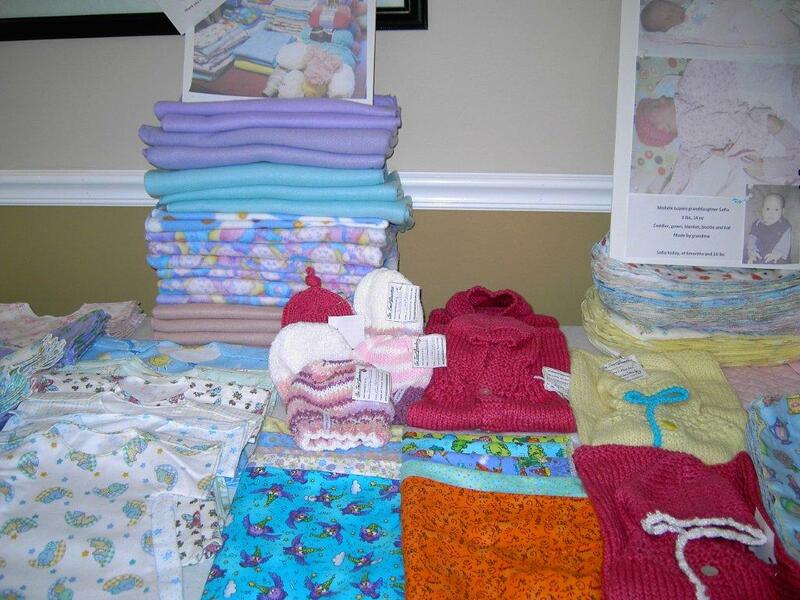 Since our March 2010 delivery to the hospitals, we have made an additional 682 items. 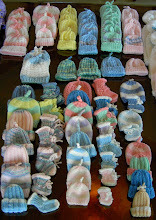 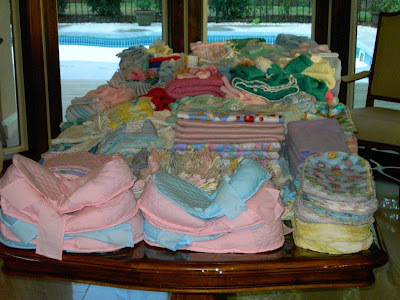 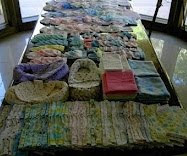 Knitted items: 63 blankets, 69 preemie hats, 163 new born hats, 17 pairs of booties, 4 vests, mittens and 17 buntings. Sewed items: 74 gowns, 10 coddlers, 200 protect coddlers, 46 protect sheets, 18 fleece blankets. 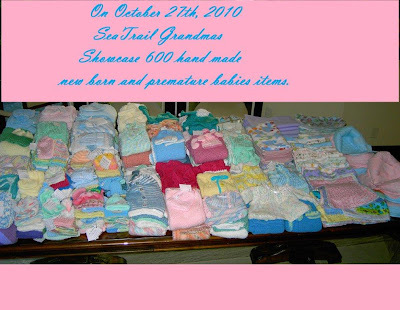 We recently displayed what our 31 volunteers made, at our first “SeaTrail Grandmas Expo” at the Pink Palace on October 27, 2010.